Posted on November 28, 2014 by Leila S.
Kate Connolly, also known as Puck, is in danger of losing her house. Her parents both died several years ago. Gabe, her older brother, is leaving the island and going to the mainland, leaving Puck and her younger brother alone. The only solution Kate has is to ride in The Scorpio Races. Sean Kendrick, the most famous rider in the Scorpio Races also has high stakes for winning the race this year. His boss, Benjamin Malvern, owner of practically all of the island, has changed things up this year. Sean has never been so desperate to win. The Scorpio Races is the story of these two young adults who live on Thisby, an island whose lives revolve around the capaill uisce, the deadly water horses. The Scorpio Races are the main attraction of the island, where riders compete to control their horses and to win the race. Not everyone will survive. Puck and Sean cannot both win. To be honest, I enjoyed this novel greatly. It seems to have a dark storyline, but I was fascinated by the mystical water horses and captivated by the parallel stories of Puck and Sean. Unlike many teen novels I have read, this book did not have much romanticism; it was pretty clean. 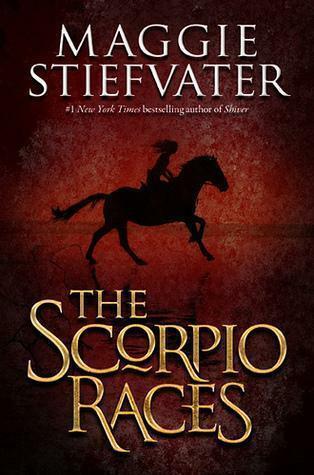 Additionally, though somewhat subtly, this book had a message of the feminist movement, since the Scorpio Races were a male-dominated event until Kate arrived. Overall, I found this novel to be a good read. It is definitely different than most books you could pick up from the shelves, but I would certainly recommend it. 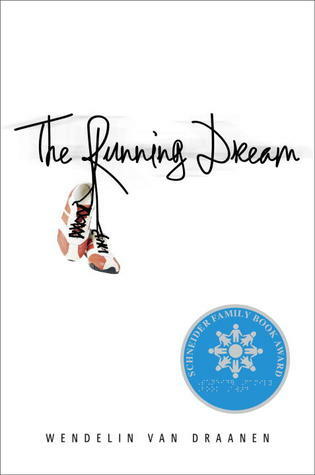 Posted on November 26, 2014 by Danielle L.
The Running Dream is a novel by Wendelin Van Draanen. It follows the story of a high school girl named Jessica who loses one of her legs in a school bus accident. This would be a tough experience for anyone…but Jessica is on the track team. She doesn’t just love to run – she considers running just as important as breathing! This book takes us through Jessica’s emotions, her mental and physical challenges, and her extraordinary journey to her “new normal” life. I’m not a runner. In fact, I am more of a creative mind than a physical one. I wasn’t sure I could fully get into this book, but I could, and it was an awakening experience. Not only did it make me eager to experience the feeling of running so adeptly described by the author who is a runner herself, but I learned so much about life and its challenges. There are just so many life lessons that The Running Dream takes the reader through. It is a worthwhile read for anyone, of any age. Empathy, compassion, and respect shine through as the reader learns that humanity shines through when understanding others. Posted on November 25, 2014 by Maya S.
The Left Behinds are three kids whose parents are too busy to spend time with them. So, they spend their Christmas with their Social Studies teacher at their New Jersey school. But things take a sharp turn when Brandon starts messing with a MacBook. While Mel and Bev are trying to stop him, their iPhones start acting up. A whirl and a pop later, they find themselves next to a weird guy that looks oddly like George Washington. And that’s not all. General Washington has a gunshot wound to the chest. They look at their surroundings and become aware of a barn with hay but no horses and a raging snowstorm outside. What just happened??? The Left Behinds: Brandon, Mel, and Bev go on a wild journey in time travel in 1771. No. Let me rephrase that. 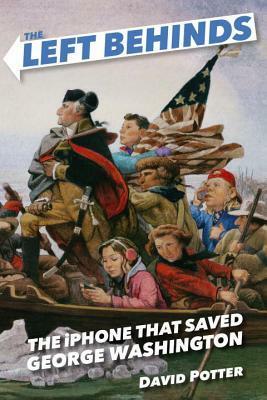 Mel goes on a wild journey to save history, while Bev and Brandon are held hostage by the Hessians. Right when this twist began, I thought of the Disney song, “Small World,” because it indicates that we do, in fact, have a small world after all. In this setting, I believe we have a small past, present, and future world. While these worlds cannot combine, the morals and lessons transcend the time periods. As the story continues, Mel takes advice from Dr. Benjamin Franklin and rides across the river from Pennsylvania to New Jersey with the Continental Army through harsh winter storms. I was reminded of another song. “Carry On My Wayward Son” by Kansas because of the struggle to find peace. The song portrays General Washington’s effort to not rest until the colonies are safe from the Hessians. The army gains victory; however, Mel, Brandon, and Bev find themselves tangled in yet another incident. What will the Left Behinds do next? 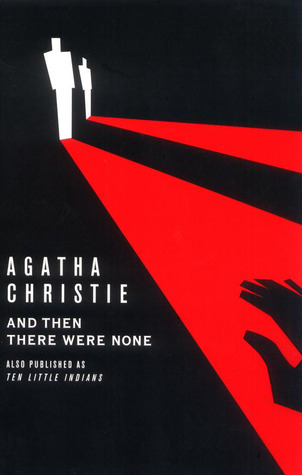 I would rate this book a 9/10 for its historically credible story line, but I would have preferred the language to be less sarcastic. This review is from an advance reader copy, so be sure to check it out January 15, 2015! Posted on November 21, 2014 by Linna C.
One cold morning, Silas Heap, Ordinary wizard, finds a baby in the snow on his way home. Upon returning to the Ramblings, where he lives, he is confronted by ExtraOrdinary wizard Marcia Overstrand, who tells him to call the baby his own. Over the next ten years, Jenna, an orphan Princess whose mother was assassinated, is raised by the Heaps as their daughter in place of their “dead” seventh son. Until one day, when Marcia returns to take her to a safer place after hearing that a spy caught wind of Jenna’s existence, fearing that they may come to finish her off. This book has become one of my personal favorites. I have great expectations for the rest of the books in the seven book series, being in the order from second to last, Flyte, Physik, Queste, Syren, Darke, and Fyre. There are many likeable characters, including but not limited to Jenna herself, Boy 412, Aunt Zelda, and the Boggart. One of the more interesting parts of the plotline is that one of the main characters doesn’t know who they really are until the very end of the book. I would recommend this book for people who are in fourth to eighth grade. 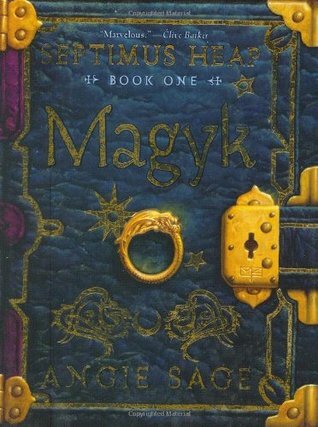 It deals with a lot of Magyk (not a misspelling), is entertaining, and, at some times pretty amusing. I, being someone who enjoys fantasy novels, would give this book a ten out of ten and two thumbs up! Posted on November 20, 2014 by Erika T.
I have been following the Divergent series for a long time and I was so excited to finally get a copy of Four. I’m sure many of you have heard, read, or watched the Divergent series. It follows the adventure of the heroine, Tris Prior, whose life is intertwined with the mysterious Four. 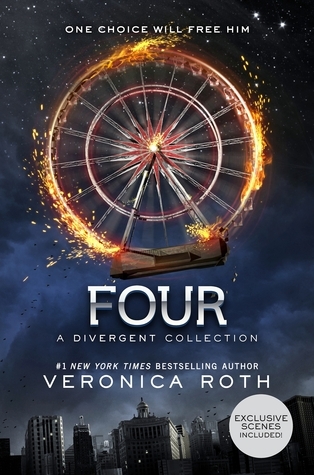 The fourth book of the series goes through the Divergent experience through Four or Tobias Eaton’s, eyes. I highly recommend if you have not finished reading the series to do so before reading Four. In the novel Four by Veronica Roth, we find out what really happened between Marcus Eaton and Tobias Eaton. 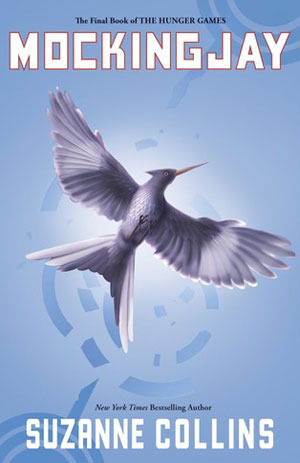 We see what caused Tobias to choose Dauntless as his faction and new home. Veronica shows us Four’s true feelings about Tris Prior. We also find out about the old rivalry between Four and Eric. The book bounces from major events in Four’s life. We see his childhood, his life as an initiate at Dauntless, and his personal undercover mission to see what the Erudite want with the Dauntless. Many of these events are already known or assumed by the readers of Divergent but it is awesome to know what actually happens. But the most interesting part that I didn’t think about and almost forgot about was when Tobias meet his mother again for the first time. It was interesting to see his reaction to actually having a mom who has just been hiding in the Factionless. I think this book was a really fun and it was quick read. I finished it in 5 days. It is not my favorite Divergent book because it was just revisiting major events and you basicay knew what is happening and what will happen but it was a great novel to get lost in. To revisit the world Veronica Roth created but in Tobias’ perspective was interesting. If you liked the Divergent series and haven’t read Four yet you should definitely read it.